Brazilian towns that armed their city guards (known as municipal guards, which are different than the police force) showed a significant reduction in their homicide and assault rates when compared with similar-sized towns that opted not to give weapons to their municipal guards. 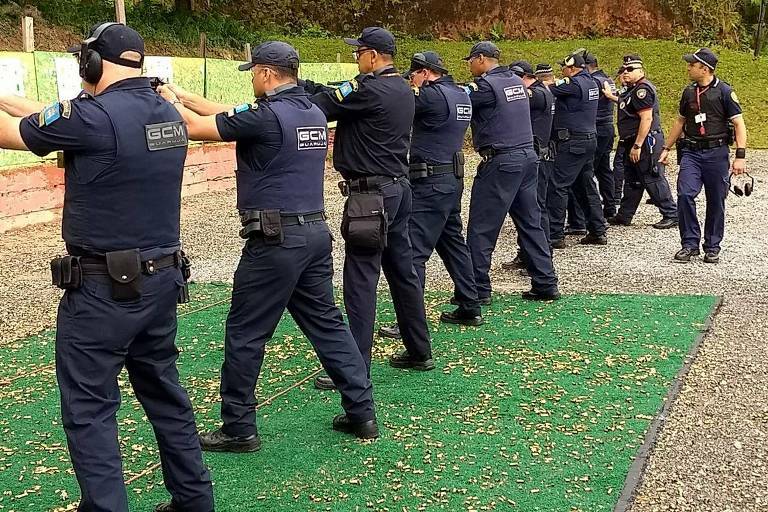 In Brazil, municipal guards police city properties like parks, and municipal councils and city halls, while the state-funded civil and military are in charge of most law enforcement. Before 2003, municipal guards weren't allowed to carry guns. On average, the decision of arming municipal guards caused a reduction of 67 homicides per 100,000 residents, when comparing with other cities that didn't do it. In São Paulo state, the average decline was of 31 murders per 100,000 residents. The effect is more pronounced where violence was higher before the change. In 10 years, armed municipal guards caused a 44% decline in the homicide rates in one-fourth of the most violent cities in Brazil. The average went from 71,68 (per 100,000) in 2002 to 40,15 in 2012. The correlation between gun adoption and crime reduction was found by Paulo Arvate and André Portela, both professors at Fundação Getúlio Vargas, and presented during a conference in Rio de Janeiro last month. The 2003 gun control law allowed the researchers to compare the outcomes on similar-sized cities that made different decisions regarding firearms. Guns are a hot topic in Brazil right now after president Jair Bolsonaro signed a decree loosening gun ownership regulations in Brazil. Arvate, however, makes the following point: "We studied the effect of giving guns to people responsible for public security. The consequences of indiscriminately arming citizens are much more controversial."